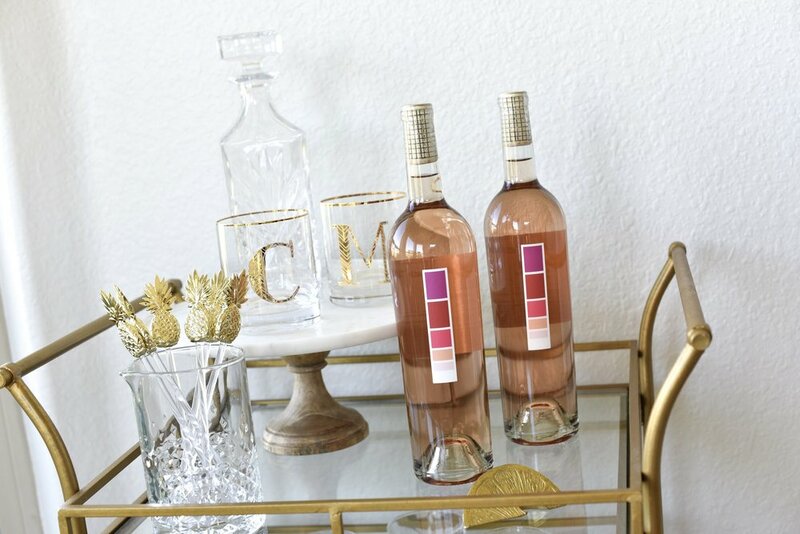 Today I'm sharing how I style my bar cart with Minibar Delivery. The bar cart is one of my favorite pieces to decorate in our house. I've had so much fun styling it for parties, holidays, and well.. just because it makes my heart happy to be honest. I wanted to share a few pointers to go by to achieve a fun, yet overall clean look. Let's get to it. Don’t Clutter – focus on only displaying a few things at once. It’s easy to keep adding little knick-knacks here and there and end up with a cluttered look. Try to keep it simple and have only a couple focus points. Add Dimension – I like to add height and a combination of small and larger items to give my cart dimension. You can stack coffee table books or use a cake stand, as I did here, as a stand for decanters/bottles. This adds height while making it easier to display different pieces on your cart. 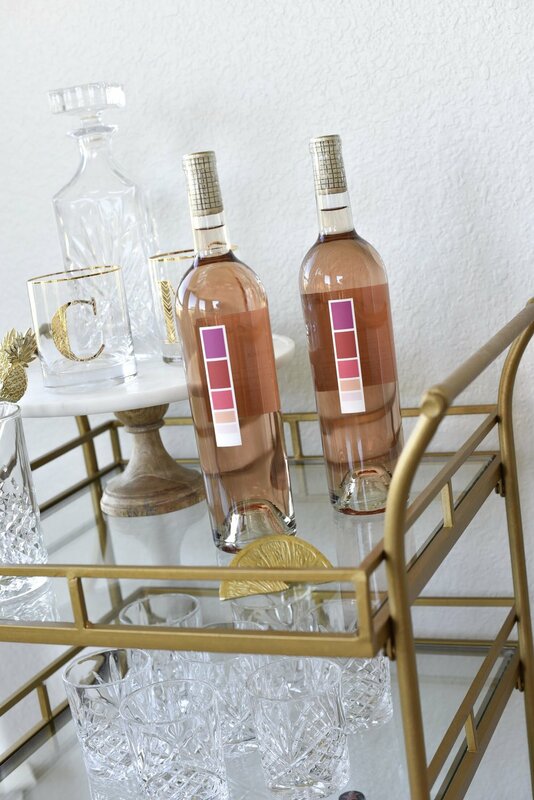 Switch Things Up Every Now & Then – I like to add seasonal pieces to my bar cart. Flowers are one of my favorite things to display, but I’ve added a little bowl of white pumpkins here for October. I think it adds a nice little touch without being overwhelming. Be Practical – I like to use pieces to decorate my cart that can actually be used. This way, you won't have too much clutter while still having everything you need for a good bar setup. Crystal whiskey glasses and decanters are always a gorgeous touch. I also like to have San Pellegrino around the house - the bottle is pretty and it's delicious! Now on to more about this alcohol delivery service. I mean what's better than having wine delivered to your doorstep at the click of a button!? It's literally that easy - you download the app, enter your address and select what you'd like, and it shows up at your doorstep. No more trips to the liquor store or having to carry those heavy bottles to the car. Pretty soon I may just never leave my house... haha kidding! (kinda) You can use code MEGANK for $20 off your first order HERE.